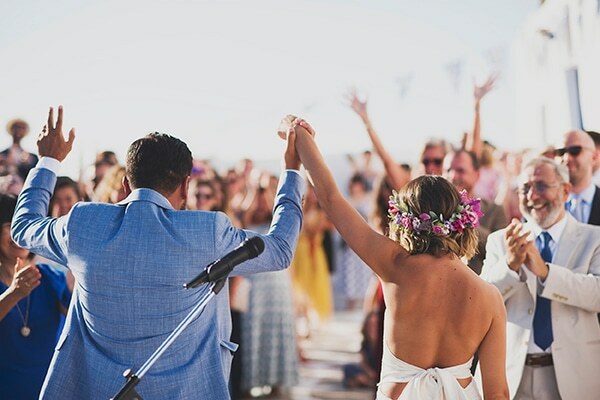 Haneen and Joell created a boho, love celebration for their wedding in the Greek island of Paros. 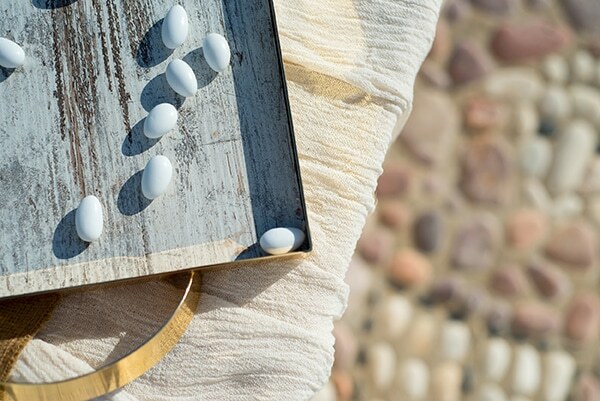 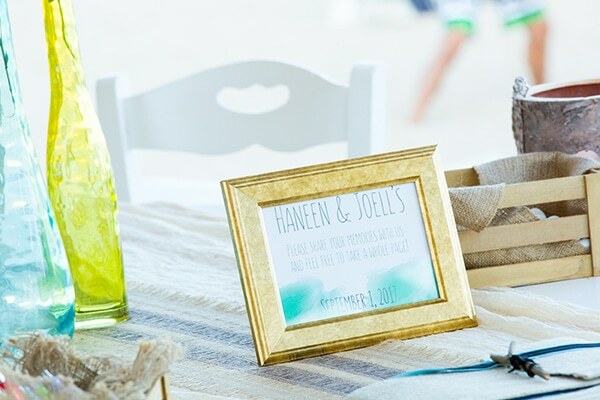 They chose the boho, rustic style and simple colors such as white and olive green that matches the location perfectly. 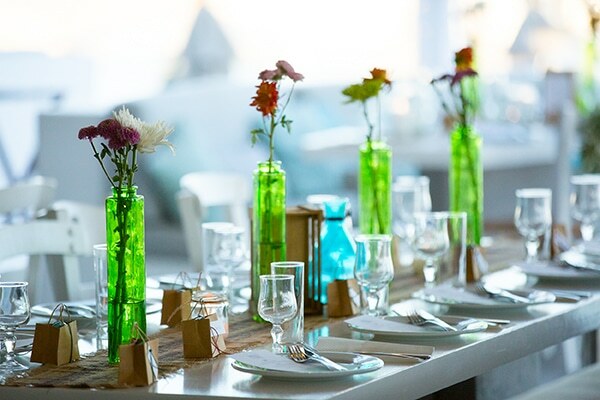 Burlap details, candles and many vases with fresh flowers in vivid hues added the essential touch of color. 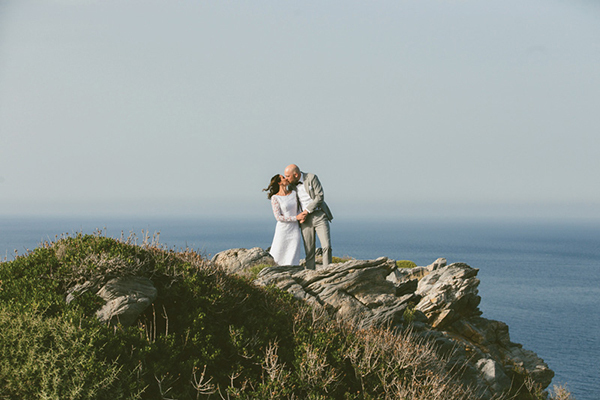 Both ceremony and reception overlooked the deep blue sea which made the whole scene even more impressive. 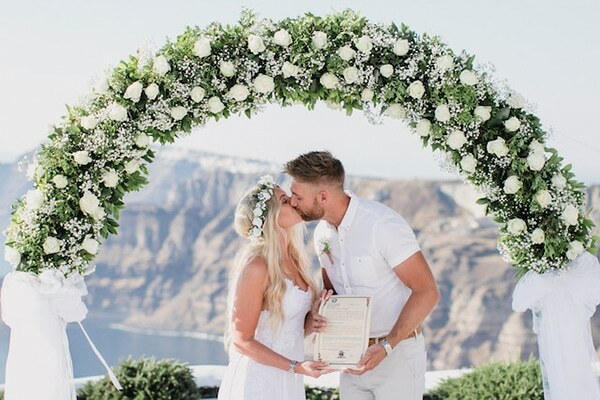 What to say about the gorgeous bride… Dressed in a super light wedding dress and wearing a flower wreath in her hair, she stole the impressions with her simple, boho style! 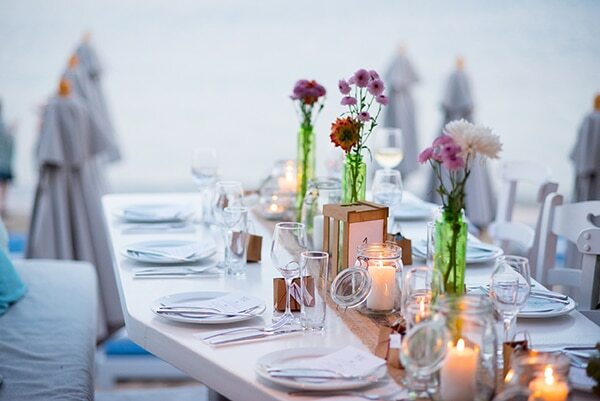 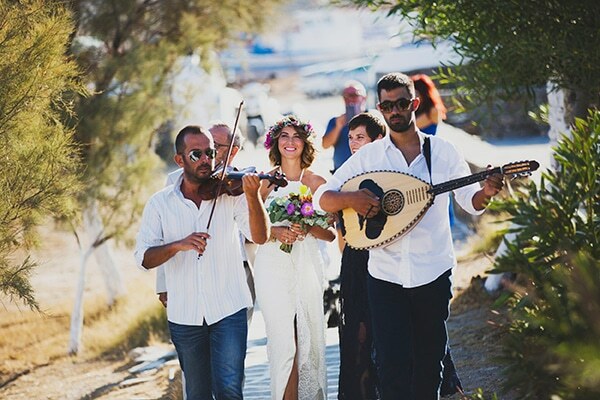 “The ceremony took place in Paros. 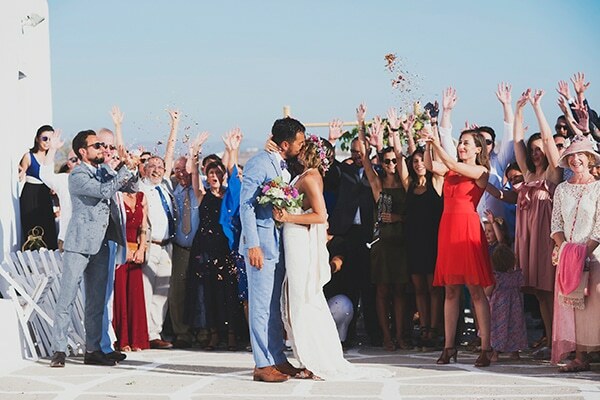 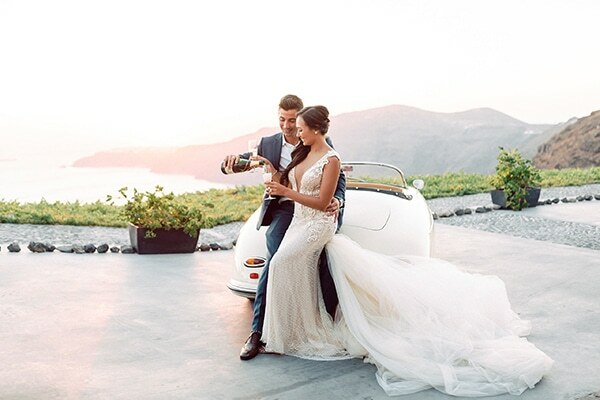 We knew we wanted to get married on a Greek island, and Paros was ideal – not too big, beautiful scenery and not too touristy”. 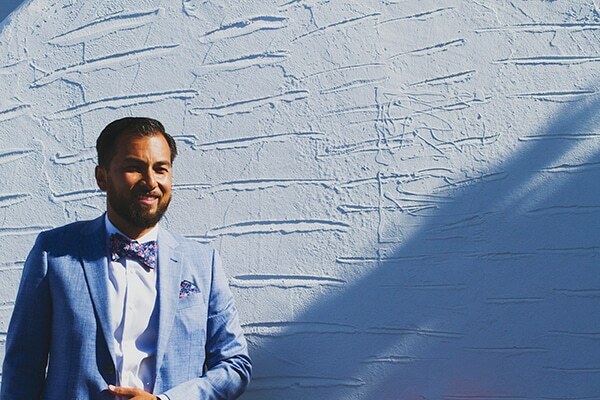 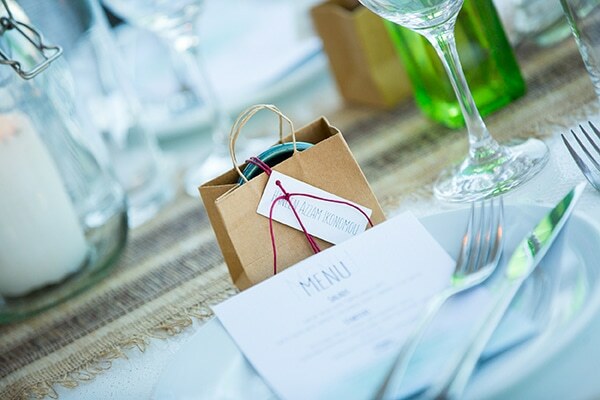 “Our theme concepts were boho, rustic, wild and yet simple. 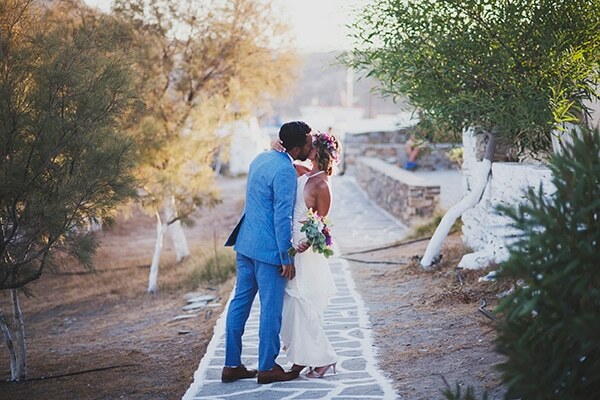 The scenery on the Greek islands is so beautiful that you don’t need too many decorations or colors to over power it. 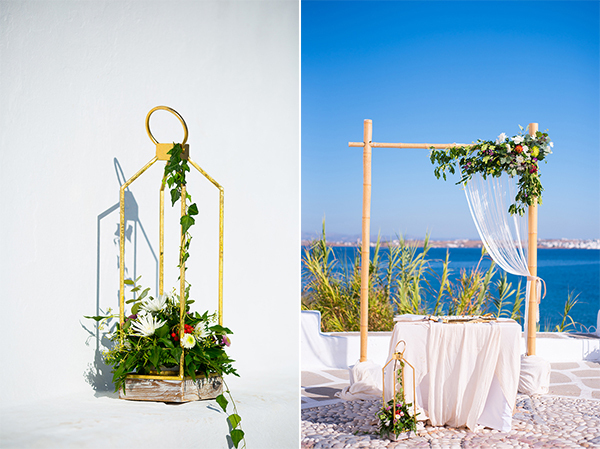 We are both from the Mediterranean, so we wanted to have the natural mediterranean feel to it. 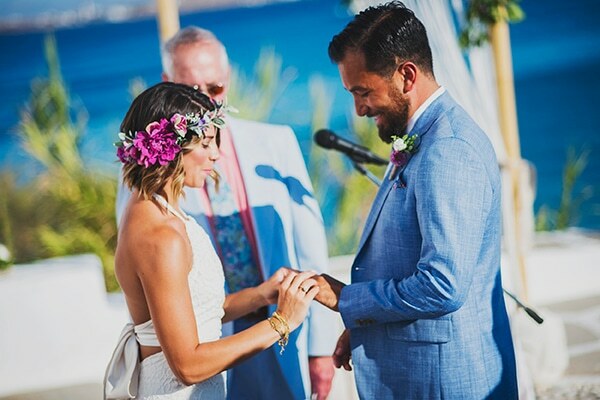 Our baseline colors were simple white, with some olive green and natural burlap color – and then the flower were bright and wild as an accent color”. 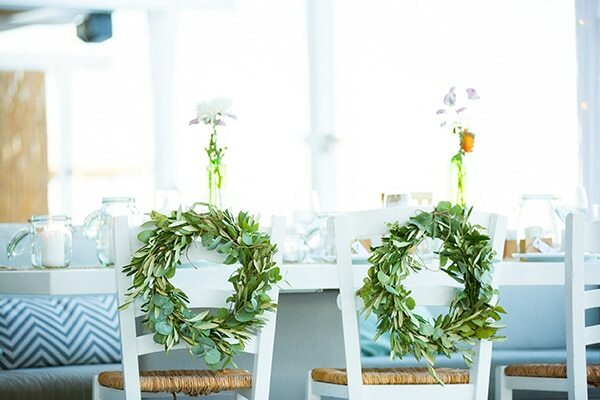 “I had some idea on decoration – mainly base colors and some cute ideas like the wreath behind the bride and groom chair, and what the table seating board would look like. 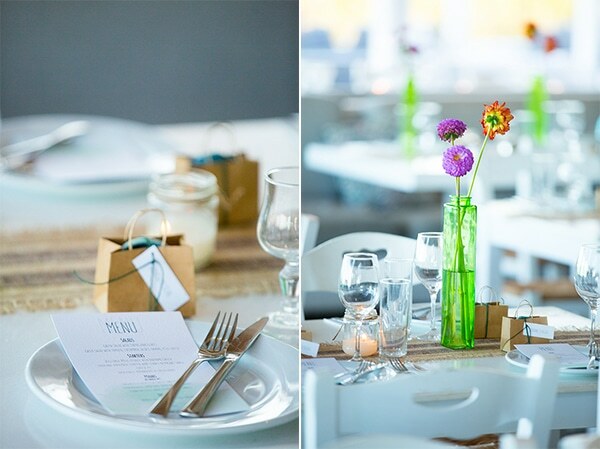 I knew I wanted the tables to be simple and that wild flowers would be the accents for each table. 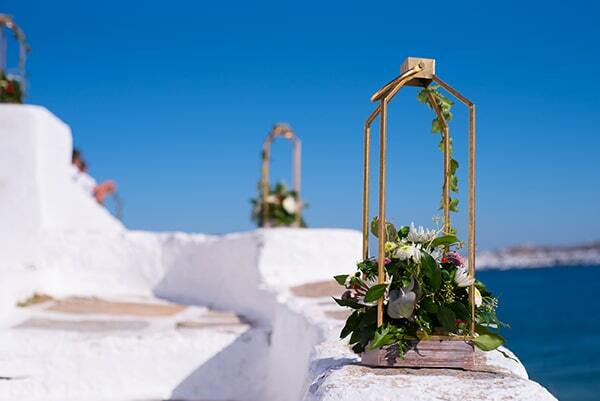 Other than that the decorating was done all by our wedding planners – she sent over a few ideas and I chose my favourite one”. 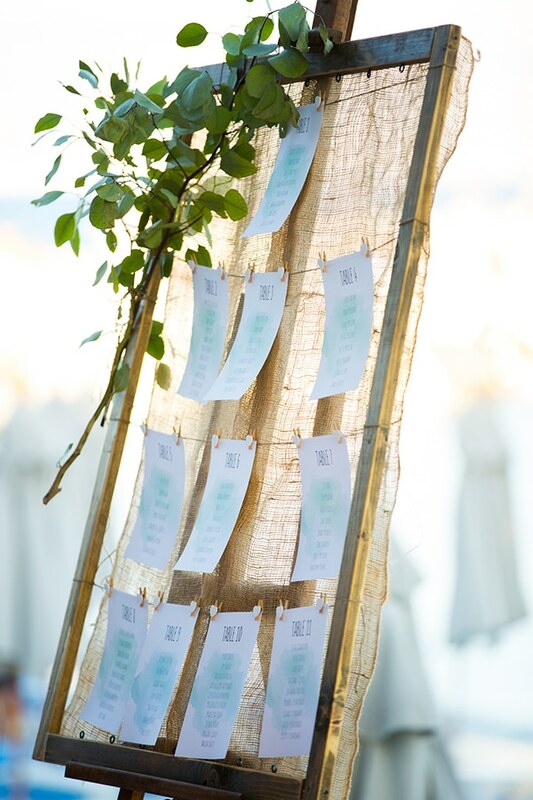 “I used mainly Pinterest for inspiration and I sent a few pictures over to my wedding planner”. 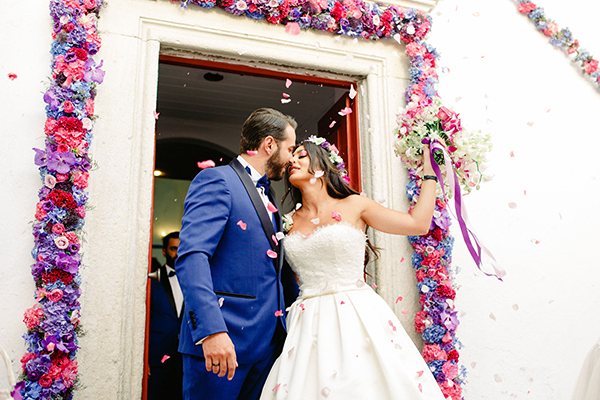 “The best moment of your wedding was the whole weekend with all of our family and friends from around the world! 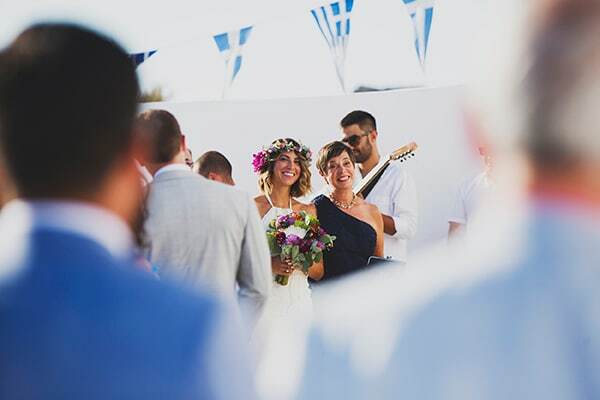 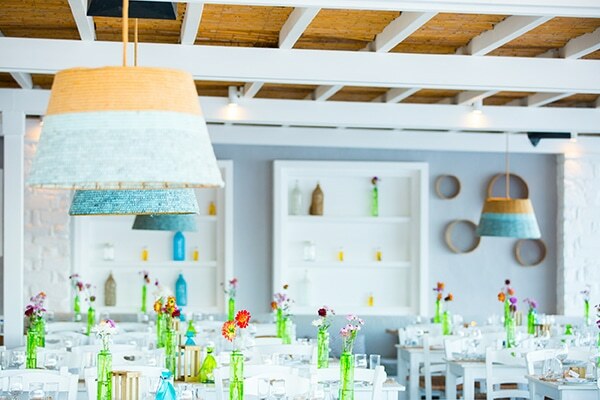 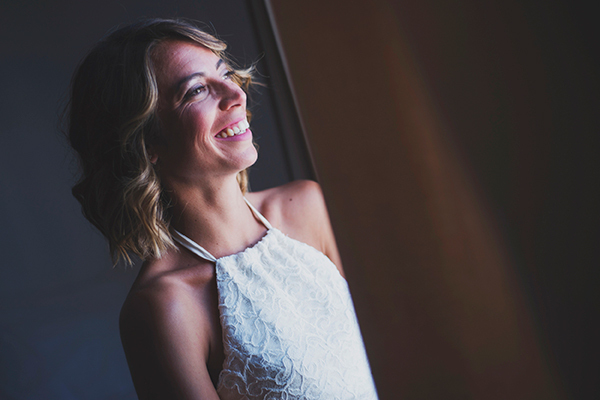 Our wedding planner helped plan a few events before, and after the wedding, so we got to enjoy Paros with all of our loved ones”. 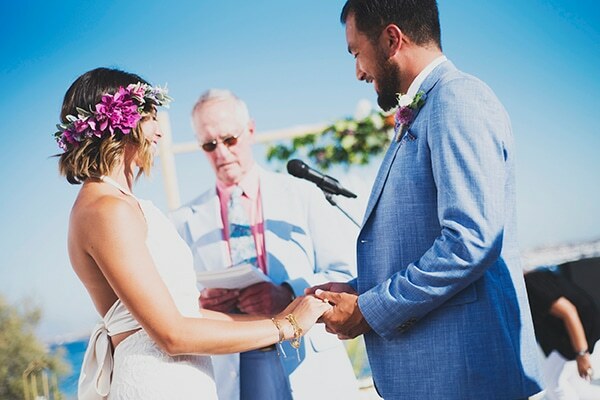 Bride’s advice: “Get an amazing wedding planner and just trust them! 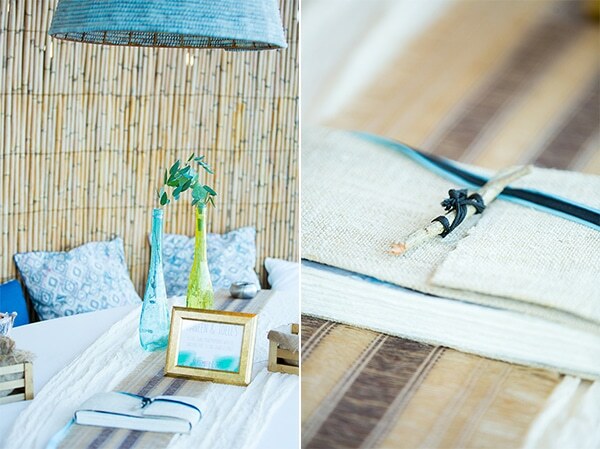 I was able to enjoy every moment of the weekend and especially the day, because I wasn’t stressed about anything”.